In this intimate coming-of-age story set in the late 1970s, a young girl struggles to make sense of the chaos around her during Pakistan's political upheaval, where the military revolts, the embassy burns, and a terrible secret tears her world apart. Eleven-year-old Aliya Shah lives a double life in Islamabad, Pakistan--at home with her Pakistani father and Dutch mother, and at the American School, where Aliya tries to downplay that she is a "half-and-half." But when a hit-and-run driver kills the son of the family's servant, Sadiq, who is also Aliya's dear friend, her world is turned upside down. After she discovers the truth behind the tragedy--a terrible secret that burdens her heart--her conflicted loyalties are tested as never before. 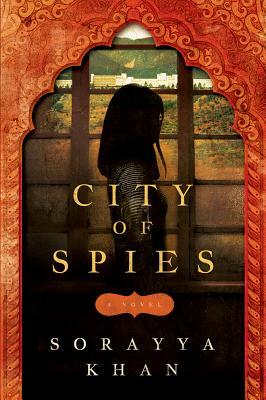 Based on the author's own experiences growing up in Islamabad, City of Spies offers a poignant and dramatic portrait of a tumultuous time, as seen through the eyes of a brave and compassionate young heroine struggling to find her place in the gray area between loyalty and complicity, family and country. Revised edition: This edition of City of Spies includes editorial revisions.